Former President of Malawi Bakili Muluzi sneaked into State House Tuesday morning and held talks with sick President Michael Sata. What they discussed is not yet known but Muluzi and his group flew into Zambia using a private jet and parked it at Lusaka International Airport, the so-called KK International Airport. 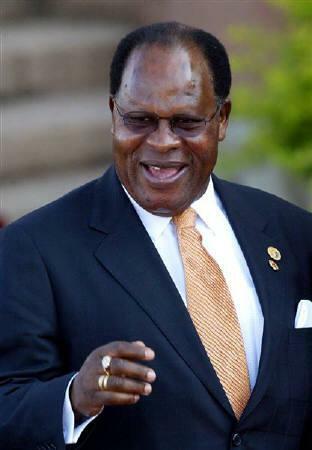 Sata and Sudanise President Omar Albashir were funding Muluzi’s son Atupele in the last elections in Malawi which were scooped by Peter Mutharika. Meanwhile, President Mutharika is one of the Heads of State who have been invited for the Golden Jubilee independence celebrations in a weeks time but Sata is still dealing with the opposition. Two years ago the former President of Malawi Joyce Banda was scheduled to open the Agriculture and Commercial Show in Lusaka but she cancelled the visit on the actual day without giving reasons.